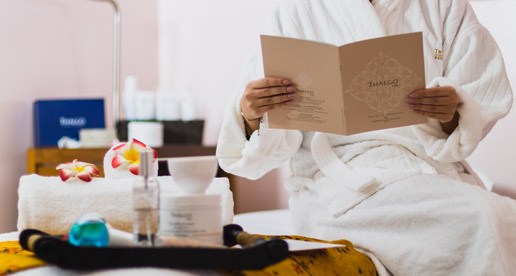 Relax and unwind at Spa at The Montcalm London Marble Arch and make the most of your visit by booking one of the pre-arranged spa packages. For complete indulgence, the spa packages offer complementary treatments for the entire body. All packages include full use of the fitness centre and spa facilities including; sauna, steam room, monsoon shower and exercise pools. Bursting with anti-oxidant rich minerals and vitamins, this purifying treatment helps remove damaging toxins, regenerate skin cells and rebalance sebum. The results: remineralised, rebalanced and renewed skin. Aromatherapy is the systematic use of volatile plant oils known as essential oils for the treatment or prevention of disease. It is a form of complementary therapy designed to treat the whole person and not just the symptom or disease by assisting the body's natural ability to balance, regulate, heal and maintain itself. Release all stiffness and muscular tension with this unique stretching massage. While comfortably lying, a therapist will gently stretch your limbs and your back. Then a warm herbal compress filled with healing herbs is massaged onto your body. The ritual ends with an acupressure scalp massage to release tension hidden in the cranial area, leaving you ready for relaxation. An anti-ageing and super boosting treatment for tired, stressed and dehydrated skin. 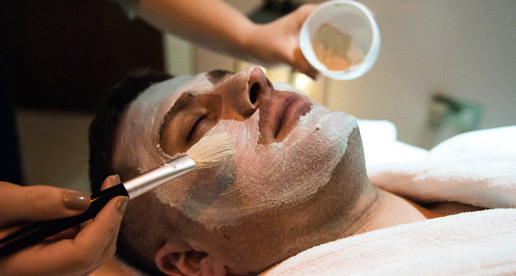 Helping to calm irritation and minimize the signs of ageing, this facial is the ultimate overhaul for male skin. Incorporating the NEW Time Defence Wrinkle Delay and Time Defence Eye Reviver, this anti-ageing treatment protects against the harsh effects of shaving and environmental damage. A body exfoliation ritual to invigorate and revitalise the body. After light body brushing, warm oil is dripped luxuriously over the body, before the sublime Elemis Exotic Lime and Ginger Salt Glow is applied. Skin is deeply cleansed and moisturised, leaving it glowing and vibrant, replenished and flawless. With pressure tailored to your request, this classic Swedish massage is designed to reduce tension and mental fatigue resulting in a feeling of well-being and total relaxation. 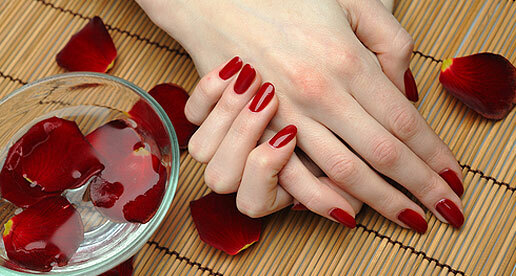 An Anti-Ageing treatment to soothe dry, chapped hands and nails. Helps Condition and strengthen nails, this treatment targets age spots, reduces crepiness and leaves hands beautifully smooth and youthful looking. A total sensory experience for your feet Warmed aroma-therapeutic oils nourish and super-condition neglected feet and nails. The extra-rich hydration replenishes and softens hard working heels, lavishing a rich and healing action on your skin. BOOK TODAY AND QUOTE SPRING SALE.